Today is International Roma Day. 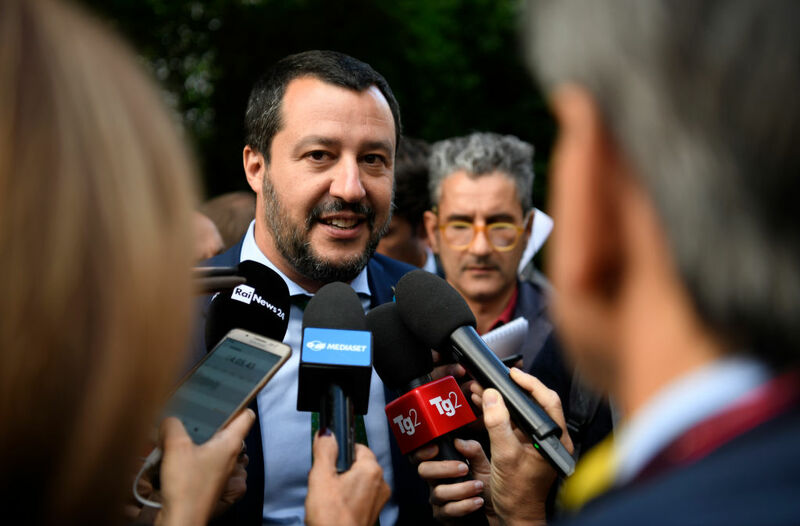 Long oppressed, the beleaguered minority group is facing intensifying racist attacks in Salvini's Italy. Sane observers immediately denounced Salvini’s plan of action, warning that, besides not really being legal, an ethnicity-based population tally was reminiscent of a certain Benito Mussolini. Then again, maybe that was the point. Such affronts to justice are bolstered by public animosity toward the Roma, who are estimated to number up to 180,000 in Italy. A 2016 Pew Research Center survey, for example, found that 82 percent of Italians held anti-Roma views — much higher than any other European nation listed. According to popular stereotypes, Roma are filthy, lazy thieves who refuse to integrate into the civilized world and prefer to fester in squalor. But how is a community meant to integrate when it’s literally blocked from doing so, its identity criminalized and its members forced to eke out an existence on the margins? “Segregated camps” aren’t exactly the stuff of civilization. Of course, gli zingari aren’t the only ones on the receiving end of contemporary Italian vitriol. Salvini has pledged to deport half a million migrants and refugees as part of a “mass cleaning” of Italy that will be carried out “street by street.” He has also closed Italian ports to migrant rescue vessels, a policy that amounts to mass murder. As for the “Islamic presence” in Italy, Salvini has credited the late Italian journalist Oriana Fallaci with sounding the alarm that “we are under attack; at risk are our culture, society, traditions, and way of life.” In addition to her threats to blow up a mosque and Islamic center slated for construction in Tuscany in 2006, Fallaci was known for publicizing an alleged Muslim scheme to replace European cognac with camel’s milk and miniskirts with chadors. Salvini’s “Italians first” slogan — while clearly not encompassing those Italians who happen to be Roma or black or Muslim — recalls the rhetoric of another right-wing icon across the Atlantic who is similarly working to sanitize racism and xenophobia. Yet unlike Trump, the more Salvini plunges into full-blown fascist whackjobbery, the more popular it seems he becomes. In a recent interview, Italian actor Moni Ovadia argued that the reason Italy has ended up with the likes of Salvini is that the country never properly came to terms with its fascist past — a history that, it bears reiterating, also saw untold thousands of Roma exterminated at concentration camps. The dispatch continues: “People of African descent and Roma people have been especially impacted.” A likely case in point: the thirteen-month-old Roma girl who was shot last year with an air rifle by an Italian man from his balcony. And yet, to hear the Right tell it, it’s the Italians who are the real victims. In the right-wing Italian media’s latest hallucinated version of reality, the Roma are suddenly falling head over heels in love with Salvini due to Italy’s new “citizens’ income” poverty relief scheme, which basically ensures that the Roma and other supposedly undeserving inhabitants grow blissfully rich on taxpayer money while Italian youth have to go make pizza in London. At the very least, this is a convenient distraction from endemic corruption in Italy and the traditionally vampiric approach to public money of the Italian political class itself. Some might also interpret it as evidence of the need to out-Salvini Salvini — and, indeed, there’s no shortage of maniacal neofascist formations waiting in the wings. On this year’s International Roma Day, as efforts proceed to cast the Roma as a subhuman infestation and a fundamental “problem,” maybe a census of fascists is instead in order. Belén Fernández is the author of The Imperial Messenger: Thomas Friedman at Work, Marytrs Never Die: Travels through South Lebanon , and, most recently, Exile: Rejecting America and Finding the World . She is a contributing editor at Jacobin.